Steve Hupp of the Bayou Preservation Association will attempt to explain tonight (Tuesday, Jan. 20, 2015) why the BPA supports a project that violates its founding purpose of preserving Buffalo Bayou. Hupp will defend the Memorial Park Demonstration Project we oppose at a regular meeting of the Briar Forest Super Neighborhood at 6:30 p.m.
Briar Forest has been fighting Harris County plans to destroy riparian forest for detention basins along the south side of Buffalo Bayou in Terry Hershey Park between Dairy Ashford and Memorial. Terry Hershey Park is a named after one of the founders of the BPA. The meeting is at the Briarwood School, 12207 Whittington. 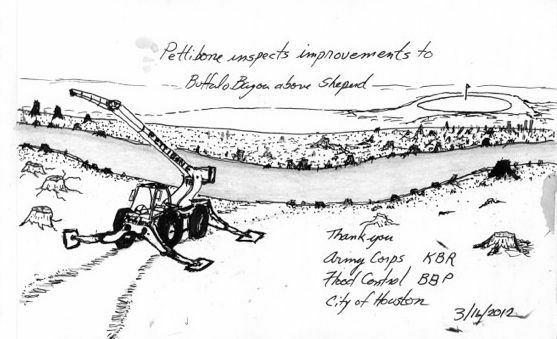 Pettibone surveys the “restoration” of the wild banks of Buffalo Bayou. of sun, moon, and star. Larry D. Thomas lived in Houston from 1967 until 2011, when he and his wife moved to Alpine, Texas. An award-winning poet and a member of the Texas Institute of Letters, he has published twenty-five collections of poetry. A major new collection, As If Light Actually Matters: New & Selected Poems, will be published in Spring 2015 by Texas Review Press, a member of the Texas A&M University Press Consortium. It is available for pre-order at Amazon.com. “Buffalo Bayou” was first published in Literary Houston in 2010, a collection of historical and contemporary writing about Houston edited by David Theis and published by Texas Christian University Press, Fort Worth, Texas. 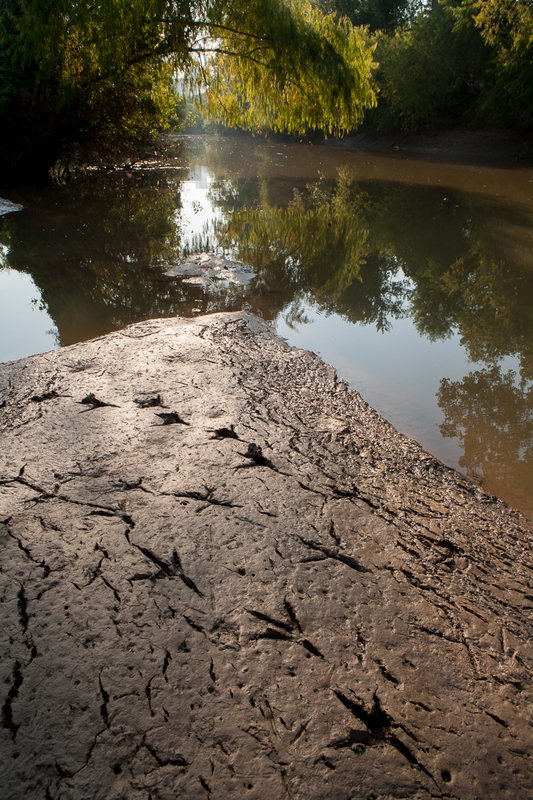 Lisa Gray, esteemed editor of Gray Matters, the Great Ideas section of the Houston Chronicle, has selected Save Buffalo Bayou as one of the Top Ten Most Intriguing Ideas of 2014.